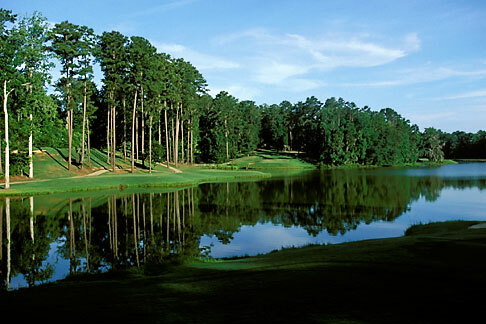 This stock photo of Alabama, Robert Trent Jones Golf Trail, Greenville, Cambrian Ridge, 4th hole, Sherling, Alamy Images number AE30E7, is available for licensing through Alamy Images for commercial and editorial uses including websites, books, magazines, brochures and advertising. Restrictions may apply for images which contain third party copyrighted material or sensitive subjects. Photos of artwork are for editorial use only.